Very light and scratch y. One very short flight. 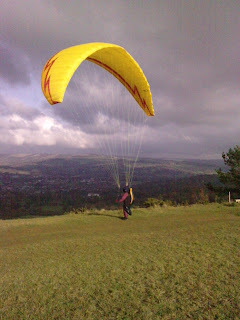 I should of got there earlier, unlike Dave who managed a few beats up and down the ridge. Still this time of year you got to get it when you can.